Everytime Gina puts out a new product, I'm totally loving it. This one is no different, but I'm *really* loving this one—probably one of my very favorites that Gina has designed. 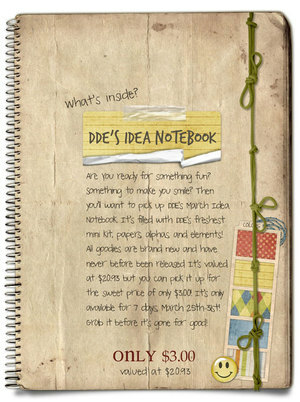 DDE's March Idea Notebook is amazing!! Although I'm in Gina's CT, seriously, I was a huge fan way before that! In fact, I'm still subscribed to DDE's newsletter, LOL! !